The issue of 'customary use' becomes part of the political dialogue in the 2018 election. SANTA ROSA BEACH — Hundreds of people crowded into a high school auditorium Saturday for an emotional meeting in the ongoing political struggle over public access to the Panhandle's pristine beaches. The crowd of 800-plus at South Walton High School and the intensity of views were the latest signs of how strongly people feel about this quality-of-life issue after Gov. Rick Scott signed a bill that makes it harder for cities and counties to pass local laws protecting public beach access. The law (HB 631), which attracted little public attention in the 2018 session of the Legislature, is seen as a direct response to Walton County's adoption last year of a beach access law that has been challenged unsuccessfully by private property owners. "I believe the notion of a 'private beach' is an oxymoron," said Dave Rauschkolb, a Seaside restaurant owner and a leader in the battle to preserve public access to beaches, known as customary use. 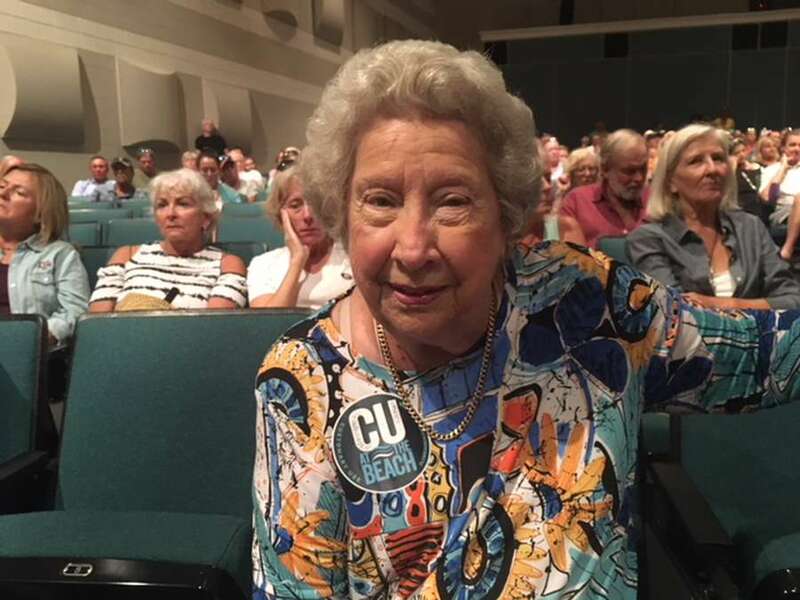 Josephine Brown, 92, of Seagrove Beach, wearing a sticker that said "CU at the beach," said her family has been enjoying the beaches of South Walton for six generations with no problems until now. "We had bonfires. We camped out," Brown testified. "Those days are gone forever, but still, we would like to maintain a little bit of that personal closeness that we always had with the beach." Lynn Fitzgerald, who has owned a home on Miramar Beach since 1994, said her property deed, like many, extended to the mean high tide water line but that "we never had a problem." Making things worse, she told officials, is the proliferation of commercial vendors renting out beach chairs and umbrellas to sunbathers. Asked about the governor, she said: "This is going to hurt him. 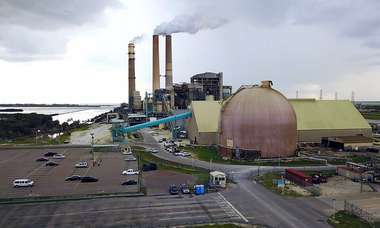 It will also cause tourists to leave Destin and go to Orange Beach (Alabama)." Scott, who in July signed an executive order that sought to blunt the new law's enforcement, may hear from residents Sunday when he makes a campaign appearance at The Donut Hole in Santa Rosa Beach. Tom Ballantine, owner of a condominium complex at Seagrove, said: "I'm a Christian. God made the beach and it's open to all of God's people." He got a thunderous round of applause. 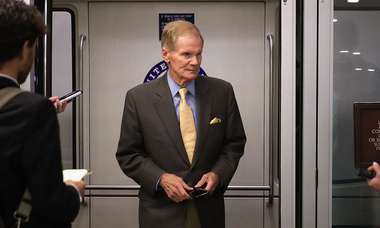 Afterward, Ballantine said he did not think the controversy would have any effect on Scott's senatorial ambitions. "I really like Rick Scott," he said. Avalon Beach homeowner John Vundschow took a different view. He said a proposed new county customary use ordinance is an illegal taking of private property without just compensation, in violation of the Fifth Amendment to the U.S. Constitution. More than 5,000 people have joined a Facebook group, Walton County Ideas for Visioning and Quality of Life, where the beach access issue is by far the major topic of conversation. More than 7,000 residents have signed affidavits in support of a new county beach access law in an effort organized by a new non-profit group, Florida Beaches for All. 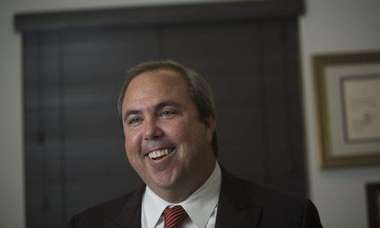 The Walton County attorney, Sidney Noyes, said she was overwhelmed by the response. Saturday's meeting was to have been the first legal step by a Florida local government to comply with the new law. But the county discovered that 13 affected property owners did not receive legal notices of the meeting as required by law, which could put the county in legal jeopardy if it took any formal action. So a vote was postponed until November and county officials took public comment for nearly three hours instead. Walton County is solidly Republican, but in interviews, people at Saturday's meeting singled out Scott for criticism and said he should not have signed the bill into law. In casual conversations, people dressed in tropical shirts and flip-flops toss around "HB 631" like an epithet. Mike Hepner, a Miramar Beach X-ray technician who wore a "UNF Ospreys" T-shirt (his daughter is a student there) and is a registered independent voter, said he's less likely to vote for Scott because of his decision to sign HB 631. "Definitely," Hepner said. "I believe the beaches were put here by God for our use and we want to keep it that way. I will vote for people who are for keeping customary use."